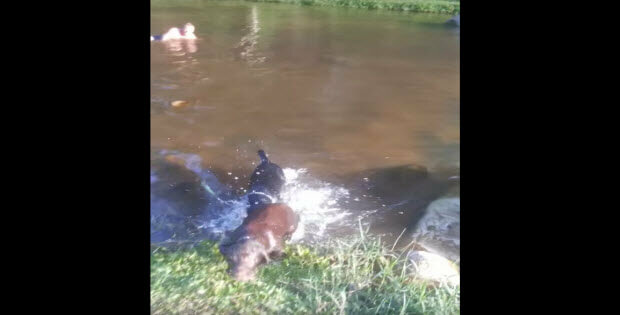 Beautiful video of two gorgeous Labradors swimming. This is a very short video but a lot of fun to watch. These two Labradors – black and choc. 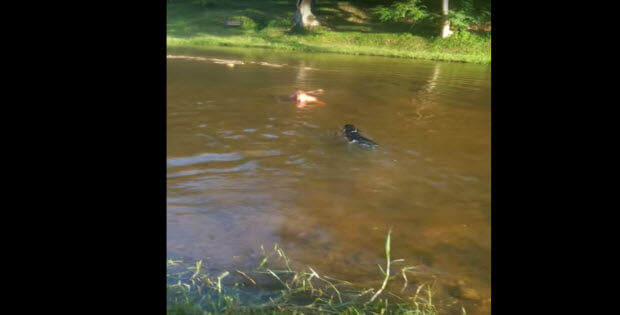 They jump into the water, one very reluctantly, probably because the water is too cold. Then, seconds later, both rush back out it is so much fun to watch them. On top of that, the scenery is amazing.